Did you know that Volkswagen is a proud official sponsor of the 2018 World Cup? Who are you rooting for this year? No matter which team you are cheering for, VW has the perfect car for you to ‘Jump on the Wagen’! 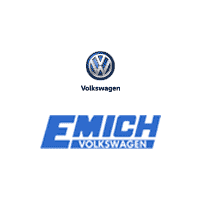 Visit Emich Volkswagen in Denver to learn more about the exciting line-up of VW cars and SUVs. Let our VW experts help you find one that fits your needs and wants perfectly.